We are leading Manufacturer, Supplier, distributors and Exporter of Burner Servo Motors and Actuators such as Riello Burner Servo Motor LKS 210 -10, Bentone Damper Motor SQN 75.254, Siemens Burner Servo Motors SQM 48.497 A 9, Ecoflam Burner Servo Motor SQN 30.121 A 2700, Weishaupt Burner Servo Motor SQM 10.16562, Weishaupt Burner Servo Motor 1055/23 and many more items. "We are leading Manufacturer, Supplier, distributors and Exporter of Industrial Equipment’s & Furnaces like For Steam Boiler/Thermopack Boiler, Solid fire steam boiler/Oil Fire steam boiler/Gas Fire steam boiler. Oil Pump, Boiler Spare & Parts, Industrial Laundry Equipment, Chimney, Tumbler, Flatwork Ironer, Oil & Gas Burner, Suntec Oil Burner Pump, Water Softener, Ion exchange Resin, and Pipe Line Fabrication & Erection. across the India Kolkata, West Bengal, Nepal, Bihar, Jharkhand, Orissa, Assam, Siliguri, Durgapur, Asansol, Ranchi, Dhanbad & Bhutan region." We are well accepted as noted enterprise involved in supplying and trading fine quality Ecoflam Burner Servo Motor. Used as vital part in effective operation of burners, these servo motors have rich aspects such as precise control mechanism, high durability and programmable PID controllers. Available with us in varied stipulations, the procurement of these motors is done from trusted vendors. 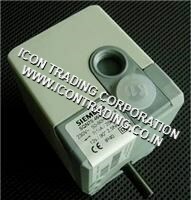 We have constant support of diligent professionals in supplying and trading wide variety of Siemens Servo Motors. These servo motors sourced from renowned vendors are widely used as actuator for getting precision in motion control and position in numerically controlled processes. Our offered motors are fabricated by our vendors with the utilization of fine grade materials and modern age technology. Moreover, these motors are offered to our clients in durable packaging at equitable rates. In tune with current industrial requirements, we are engaged in supplying and trading superb quality Bentone Burner Servo Motor. Our offered servo motors have profound uses in burning processes, owing to their precise design and high operational efficiency. Owing to their procurement from reliable vendors, these motors are manufactured with current norms in various specifications. 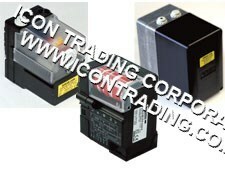 These motors are supplied in durable packaging at pocket friendly rates. 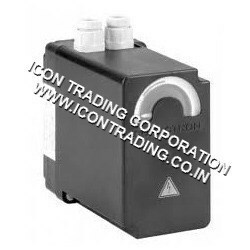 We are distinguished entity involved in supplying and trading superb quality Weishaupt Burner Servo Motor. Widely used in industries for achieving precise accuracy by adjusting angular position, velocity and acceleration, these motors are procured from highly authentic vendor. With the fabrication being done by utilizing high end technology, our offered servo motors are robust and possess excellent functionality. Looking for Burner Servo Motors ?